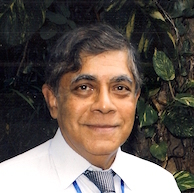 The lengthy article by Dr Wijeyadasa Rajapakshe PC on constitutional reform published in the newspapers recently appears to contain several errors of fact and of law. I have no wish to argue with the former Minister of Justice on his views on the legality of the current constitutional reform process in which he participated until his removal from office. However, any debate should proceed upon the basis of accurate information and correct statements of the law. The Ceylon (Constitution) Order in Council 1946 granted full self-government to Ceylon based upon a draft constitution that had been approved in the State Council by 51 votes to 3, including the affirmative votes of members belonging to the Tamil, Muslim and Burgher communities. That Constitution provided for a Governor, and established a House of Representatives and a Senate. The Ceylon Independence Act 1947, enacted by the Parliament of the United Kingdom and the Ceylon (Independence) Order in Council 1947, both of which came into force on 4 February 1948, granted “Dominion Status” to Ceylon. From that day, Ceylon was “fully independent”, except that the Queen was the Head of State and was represented in Ceylon by the Governor-General who was appointed in consultation with, and thereafter acted on the advice of, the Prime Minister of Ceylon. This is a misinterpretation of the law. Section 29 of the 1946 Constitution stated explicitly that “Parliament may amend or repeal any of the provisions of this Order”. The exceptions were that “(a) no law could prohibit or restrict the free exercise of any religion; (b) make persons of any community or religion liable to disabilities or restrictions to which persons of other communities or religions were not made liable; (c) confer on persons of any community or religion any privilege or advantage which was not conferred on persons of other communities or religions; or (d) alter the constitution of any religious body except with the consent of the governing authority of that body”. That restriction on legislative power was the compact between the majority and the minority communities, and the basis upon which Independence was granted to Ceylon. It was the condition precedent to Independence. Subject to that restriction, Parliament had the power to repeal and replace every other provision of the Constitution. The power to “amend or repeal” necessarily includes the power to replace. In fact, in 1970, the Judicial Committee of the Privy Council was replaced by our own Court of Final Appeal, and in 1971 Parliament abolished one of its constituent units, the Senate, and chose not to replace it with another second chamber. 3. Dr.WR: “Dr Colvin R de Silva, with his wisdom realizing the legal barriers of the Soulbury Constitution to replace it, advised to form the said Constituent Assembly outside the Parliament.” . . . “Since the Soulbury Constitution had not provided the authority and a procedure to adopt a new constitution by repealing the existing one, the government elected in 1970 had no option but to establish a Constituent Assembly operating outside Parliament”. This is not a correct statement of fact. The Common Programme drawn up by the SLFP, LSSP and CP in early 1968, in anticipation of forming a government at the next general election, stated quite explicitly that “A Constituent Assembly will be established, and a new Constitution will be introduced. This Constitution will declare Ceylon to be a free, sovereign and independent Republic”. There was no legal impediment to Parliament enacting the necessary legislation to declare Ceylon to be a Republic, a course which several other Commonwealth countries had already followed. Nor was there any legal impediment to Parliament establishing a Constituent Assembly as India had done. However, Dr Colvin R de Silva refused to consider the perfectly practical option of terminating Ceylon’s link with the British Crown through the powers conferred on Parliament by the British Crown. He argued that freedom should be asserted by a free people through a body constituted outside the legal order established by the British Crown. This was a principled stand by one of the twentieth century’s greatest lawyers who had consistently refused to apply for “silk” since he had no wish to be one of “Her Majesty’s Counsel Learned in the Law”. 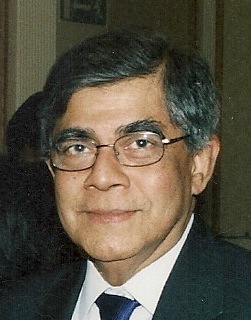 That exercise in autochthony – in establishing a new legal order that sprang from our own native soil – was a bold, idealistic, exciting, even romantic, experience not only for those of us who steered it through possible legal pitfalls, but also for a great many constitutional lawyers and academics worldwide for whom this legal revolution was a rare precedent. This is a complete misstatement of facts. Following the July 1970 ceremonial meeting at the Navarangahala of the elected members of the House of Representatives at which they constituted themselves as the Constituent Assembly, it was resolved that all future meetings would be held in the parliamentary chamber. Nearly two years later, following the final meeting of the Constituent Assembly, at which the draft constitution was adopted by 119 votes to 16, the members (including those from the UNP who had voted against) adjourned to the Navarangahala. There, at the auspicious time of 12.43 pm, the President of the Assembly, Stanley Tillekeratne, certified the adoption and enactment of the new constitution by the Constituent Assembly. Immediately thereafter, Mrs Bandaranaike took her oath of office as Prime Minister. She then nominated William Gopallawa as the President of the Republic, whereupon he took his oath of office. The focus then shifted to President’s House (until then, Queen’s House) where superior court judges, ministers, permanent secretaries and service commanders took their oaths of office. Ceylon ceased to exist, and in its place the Republic of Sri Lanka arose. The new constitution was never submitted to Parliament. 5. Dr.WR: “When Mrs Sirimavo Bandaranaike and Mr J.R. Jayewardene wanted to enact new constitutions in 1970 and 1977 respectively, they did not seek advice of any overseas experts or spend public funds in millions on expert advice. If the members of the legislature are not competent or have capacity to make the laws necessitated for the country, what is the use of maintaining such a Parliament?”. None of our constitutions were “drafted” by members of the legislature. The drafting history of the 1946 Constitution is too well known to require recounting here. The 1972 Constitution was drafted by a 12-member Drafting Committee consisting of lawyers, academics and political scientists (in which I had the privilege to serve), and thereafter channelled through a Ministerial Sub-Committee and a Steering and Subjects Committee to the Constituent Assembly. The Assembly then divided itself into eleven committees, with each committee examining a chapter in detail and receiving oral public representations, after which the Drafting Committee prepared the final draft for submission to the Assembly. The 1978 Constitution was also drafted by “experts” (believed at the time to have included Gamini Dissanayake and Mark Fernando). It was tabled at the final meeting of a Select Committee of the National State Assembly that had been appointed to consider the revision of the 1972 Constitution. The Committee had held several meetings, some of which I attended as an advisor to the Opposition Members on it, Mrs Bandaranaike and Maithripala Senanayake. It had heard oral representations, and then considered draft revisions, including a new chapter on fundamental rights that I prepared for submission by the SLFP. Much to our astonishment, it became apparent that what the government had in mind was not the revision of the existing constitution through the Select Committee, but its repeal and replacement by a wholly new constitution prepared outside the Select Committee. It is not a reflection on our own abilities to seek the wisdom of others in fulfilling our responsibilities. When we drafted the Administration of Justice Bills of 1974 and 1975, we benefitted greatly from the reports and recommendations of the Law Reform Commissions of Canada, United Kingdom and Australia. When I was drafting the Bill to abolish the right of appeal to the Judicial Committee of the Privy Council, I sought the experience of countries that had already done so, and found their contributions to be extremely valuable. This is a serious misreading of contemporary world history, apparently intended to denigrate the United Nations and its perceived “interference” in Sri Lanka’s “domestic affairs”. At the end of the Second World War, upon the surrender of Japan, the Korean peninsula was divided into two zones, with the north being occupied by the Soviet Union and the south by the United States. The United Nations had not even been formed at the time. Kosovo, which since the Ottoman Empire had been a part of Serbia, declared its independence from Serbia in 2008. Although recognized by 111 states so far, Kosovo is not yet a member state of the United Nations. The Republic of South Sudan was formed following a referendum in which 83% of the population voted to secede from Sudan. The UN was not instrumental in “dividing” Sudan, as claimed by Dr Rajapakshe. It is sad when a person who is educated, both in law and in ecclesiastical matters, expresses such lack of respect for communities other than his own. It is socially obnoxious, politically reckless, and economically ignorant to cheapen the presence of any community in one’s country. As a distinguished jurist has observed, “it is only the weak-minded people incapable of comprehending the origins of the modern state, its philosophy, its instruments, and its edicts, that resort to such approaches in managing the expression of disagreement”. The strength and beauty of Sri Lanka lies, not in its rivers and its mountains, but in its people: multi-ethnic, multi-religious and multi-linguistic. That is what creates the mosaic of one nation. Therefore, it seems to me that, whatever agreement may be reached on governance at the periphery, it is vital and fundamental that there should be power-sharing at the centre. That cannot be achieved by the inclusion of Colombo-based unelected Tamils in the Cabinet, such as C. Kumarasuriar and Lakshman Kadirgamar, who represented none but themselves. Power sharing at the centre is a requirement that should be incorporated in the Constitution. Whichever political party forms the government, it should be mandatory for the different ethnic groups to be represented in the Cabinet, at least in proportion to the number of such members elected to Parliament. Thereby, the minority communities will be constitutionally guaranteed not of token but of genuine representation, both in the legislature and in the government. Policy formation will then be by consensus of the different ethnic groups, which is how it should be if multiculturalism is accepted, recognized, and celebrated; not brushed under the carpet as a canker on the body politic. A discourse full of wisdom may be the results of a long and fruitful life and one realizes insight out of power and with no prospect of a come back. At old age only, one could look at things in the correct perspective,when it is too late. People never learns from history, history repeats and repeats laughing at human folly,it is the tragedy of human existence.let us have hope, because hope is external. The difference between an erudite legal mind and a corrupt political mind. It also reflects the detirioration in doctoral degrees. Dr. WR, kindly described as an “educated person” comes off as a illiterate moron whose understanding of events is abysmal. There is no reason why the Tamil minority should accept these constitutions when the only compact they made was to the Soulbury Constitution that guaranteed minority rights. However exalted a criminal lawyer Colvin de Silva may have been, he had relinquished principles and become a bootlicker of Sirimavo. There is nothing to suggest that he was a major constitutional lawyer. He made a constitution without the participation of the Tamil community. Whatever the so called “legal revolution” may have been, the Tamils simply did not participate in it. They may credibly take a stance that they are not bound by these constitutions that were made without their participation. A constitution is a compact of the people. There was no compact here. The equality provisions of the Soulbury Constitution have been undone, leaving the Tamils and Muslims without protection. The Muslims, who collaborated with the Sinhalese in dismounting that protection now rue it.There was a constitution made for the Sinhalese not for the others. Before it is too late and another conflagration comes, it is best to trust the wisdom of Jayawickrema (tainted though he be through past complicity) than the rabble rousing ignorance and the twisting of facts of the “double doctor” from suspect institutions. Who ever would give such an idiot doctorates? I have admired and learnt a good deal from Nihal Jayawickrema’s writings. However I cannot share his enthusiasm for Dr. Colvin R. de Silva’s positions. Jayawickrema says that Parliament had the legal right to replace every part of the Constitution except Section 29, but that too was done away with. Perhaps this was the ‘revolutionary’ aspect of autochthony. There is another issue which at first sight may not seem germane. In 1954 I went with my mother and a considerable section of the citizenry of Veyangoda to wave to Queen Elizabeth from the platform, as her loyal subjects, when the royal train passed through. Is it so simple a matter to deprive her subjects of even the symbolic protection they derived from her without their consent? A case in the point is Section 29. The republic without it and without their consent was a severe blow to the minorities. The American independence was not brought about without ugly violence and terror against the loyalists, many of whom were poor. At home there arose widespread contempt among Tamils for everything ‘Sri Lankan’ that was forced on them. Addressing on invitation the Engineering Students’ Union at Peradeniya on the new Constitution in 1971 (? ), when you too Dr. Jayawickrema may have been present, Dr. Colvin R. de Silva was quite pleased to say that this Constitution was historically our first ever defiance of the British Crown. Going by what followed afterwards, was he, like Don Quixote, tilting at the windmills? It also doomed the LSSP and spelt the ruin of the Left that was a uniting force in the country. Mahattaya of LTTE fame was the son of an LSSP member. Totally out of context. Is it a dig at Mahattaya, his father or LSSP? Hint: Hoole carries a phobic hatred towards………….guess. Nihal Jayawickrema points out rather politely some inaccurate statements made by Wijedasa Rajapaksha recently. Wijedasa has got it into his head that he is Executive-President-material. Such utterances and muddled thoughts are pre-requisites for this position. The last paragraph is a gem. But for the unscrupulous, the language/religion divide was, is and continue to be a goldmine. Dear Dr. Nihal Jayawickrama, My heart smiled when I saw an article from you, in CT. I was expecting to read of the genuine underpinnings of constitution making. I was not disappointed. I am glad to be a contemporary of a great human that you are. Whilst being an admirer of Dr. Nihal J. I must point out that the Republican Constitution of 1972,drafted by Dr.Colvin R.De. Silva was a fraudulent exercise. Perhaps, Dr.Nihal J. may have forgotten the booklet by S.Nadesan Q.C. titled Some comments on the Constituent Assembly and the Draft Basic Resolutions dated 25th February 1971. I picked this up from my paters library and is with compliments from the Author. As for the two Ph.Ds in Law conferred on Wijedasa Rajapakse would it equal the LLD. [London] of a former Minister of Justice Sir. Lalita Rajapakse Q.C?! Yes, I do have a copy of Mr Nadesan’s book. It was the best analysis of the issues that arose at the time. Unfortunately, it had little or no effect on the decision-makers. He was a clever, versatile, brilliant lawyer whose interventions in the Senate legitimized that institution. I was privileged to have been defended by him in the Special Presidential Commission of Inquiry, without a fee, for over nine months. In this rejoinder the learned Dr. Nihal Jayawickrema has conferred unnecessary dignity on Wijedasa Rajapakse who is no more than a mediocre lawyer. The man perhaps may be a little more conversant in a Court functioning in Sinhala. Rajapakse is notorious for his broken English – in writing and speaking in person. He cuts a sorry picture when he choses to speak in English in public. It is only a moron of a lawyer who will claim the UN, in 1940, divided Korea whereas the UN itself was founded almost a decade later. This was not the only faux pas this swollen-headed narcissist has committed in the poor material Dr.Wijewickrema has chosen to take exception to. My experience has been that constitution-making in Sri Lanka is a political exercise indulged in by politicians to secure their political objectives.. Any public consultation is designed only to legitimize the process. In 1970, during the constitution-making process, I was informed by the Minister of Constitutional Affairs that several of my proposals had been rejected by the “top committee”. When I asked the Prime Minister why the “top committee keeps rejecting every suggestion without any explanation, her reply was that if there was such a committee, she was certainly not a member of it! In fact, the Prime Minister wrote to the Minister expressing her view that certain provisions of the 1946 Constitution be retained. That request was ignored. By 1970 I was convinced that s.29 will not protect minority ethnic or linguistic communities. The Citizenship Act and the Indian and Pakistan Residents (Citizenship) Act clearly discriminated against the Indian Tamil community, but both the Supreme Court and the Privy Council held that they did not. When District Judge Kretser applied s.29 to the Official Language Act, Chief Justice H.N.G. Fernando found a way to circumvent the issue, dismiss that case of a technicality, and thereby deny Kodeeswaran the benefit of s.29. It seemed to me then that a comprehensive and enforceable Bill of Rights was preferable to s.29. Unfortunately, that was inconceivable in the context of a legislature that was to be “the supreme instrument of state power”. The debate today should move from the unit of devolution (which is secondary) to power-sharing at the centre (which is fundamental). The constitution should make it mandatory for the different ethnic groups in Parliament to be proportionately represented in the cabinet, whichever party forms the government. The foremost place to Budhisim is justified on the year 1815 agreement the Kandyan Sinhalese had with the British. So much so Section 29 in the Soulbury Constitution is the outcome of the British compromise with the minority concerns. How is it reasonable for the framers of the 1972 constitution to deprive the minorities from continuing with the understanding the minorities had with the British whereas foremost place to Budhisim was introduced into the 1972 constitution for the first time. One rule for the majority and another to the minority? As one of the framers of 1972 constitution what is your opinion on the likely event of new constitution being formulated?. During the constitution-making process in 1970-72, there was no reference to the 1815 agreement. Nor was there any reference to Buddhism in any of the Basic Resolutions that were initially prepared to provide the framework of the constitution. It was only after public representations were called for that a demand grew for Buddhism to be declared the state religion. That was mainly from organizations such as the All Ceylon Buddhist Congress. The senior monks were mainly concerned with ownership of property required for the performance of rites and rituals. The original formulation required the state to protect Buddhist institutions and places of traditional worship. My own view is that religion has no place in the constitution of a secular state. This is only on academic interest. In the 1970 General Election the United Front did not receive the majority support of the voters(50%+1) , but they got the support off 2/3 majority at the election and the 1972 constitution was passed by 2/3 members of the constitutional assembly. what happens if they got only a simple majority? Would the process would have received sanction nationally and internationally. In that scenario could the British Parliament have reacted differently? My recollection is that the United Front (SLFP+LSSP+CP) not only won 2/3 of the seats, but also received about 500,000 votes more than the UNP. However, that is academic, since the resolution to establish the Constituent Assembly was unanimous. The final vote on the draft constitution was 119 for and 16 against. The 13 members of the Federal Party did not attend the meeting, having previously withdrawn from the Assembly because they believed that they were unable to influence in any effective manner the course of its proceedings. As for the Queen and the UK government, I am aware that they understood the aspirations of the people of Ceylon to establish a republic, and would have gladly co-operated if we had proceeded by way of an amendment to the 1946 Constitution. I suggested that course, especially after the 1971 Insurgency when the JVP members had to be prosecuted for “waging war against the Queen” and the Constituent Assembly was also attempting precisely that. That was totally unacceptable to Dr Colvin R de Silva. the spirit of S29 was not violated) It was clear the wise men of the P.C. felt there was a lot of politics going on in Ceylon where the Sinhalese and Tamils were battling it out legally. The PC may have felt Jennings came with 29C to protect the minorities in an environment where the majority was likely to ride rough shod over the minorities acting impulsively to please the growing powerful Buddhist Sinhala radicals. Which is probably why 29C was made an entrenched clause. Colvin – experienced, wise, clear lawyer and all that was hell bent to keep his Cabinet position and that of his LSSP colleagues with the Mrs. B’ Cabinet. And so he consciously sacrificed principles and the Tamils. The country remains divided and in ruins since then. Your point the Buddhist clerical hierarchy was keen to protect their valuable land and their rights thereto is interesting – and indeed true. The Kodeeswaren Case is one example where the Tamils and the country were otherwise told there will be no recourse to justice for the Tamils via the Constitution or the Courts. VP and his advisors may not have forgotten that altogether in formulating their own schemes. The Unit of Devolution issue is nothing more than a devise at procrastination. Tamils better take notice of that then, now and in the future. Justice Wigneswaren is neither a communal mischief maker or knave. If at all he is guilty in the eyes of the Sinhala political leadership, it is merely because he raises and insists on answers to inconvenient truths. It is only learned men like you, Justice O.L. de Kretser and a few others – who love all of Sri Lanka equally – who can bring us peace and unity leading to economic prosperity. But! Alas??? Thank you Dr. Nihal Jayawickrama. *If only people of your calibre had been at the helm of affairs in Sri Lanka, what a great difference it would have made – we would not have fled the country, en masse, as victims of Black July violence .I read and reread the lofty sentiments, as expressed by you at the Felix Memorial Lecture. Sublime and quite soothing. * I have had an occasion to meet with you once, with a request – when you were Secretary, Justice Ministry. And, you granted my request. Thank you. Dr J’s thesis turns so much around the influence of Dr Colvin R de Silav. Did he in fact have such influence and indispensability to the process? Since he was an insider, we have to take his word for it. Sovereignty of Ceylon came about with the Soulbury Constitution. Was it necessary to have Parliamentary Sovereignty, a British concept of a state without a constitution. India and US are systems where the Supreme Court reviews legislation. Why the need for Parliament to be sovereign when its ultimate will be accepted? On item 1 WR is correct and NJ is deceitfully wrong. When SL was granted Dominion status it was upgraded from being a colony but was never fully independent. 1. BRITISH Monarch continued to be the monarch of Ceylon. 2. The Governor representing the British Monarch was the head of the government. 3.The prime Minister could be removed by the governor. 4. Supreme Court was never “supreme” it’s findings subject to revision by the Privy Council. 5.ceylon flag was Union jack. 6. A very distinct difference from the complete independence granted to India. I can go on but for brevity’ sake will confine myself to the above. I am sorry, “PERCY”, but you have misread the constitution. A “Dominion” was a fully independent member state of the Commonwealth. It was as a “dominion” that Ceylon was admitted to the United Nations. The Queen continued to be the Head of State until we became a republic. The Governor-General (not Governor) was not the head of government. He, as the representative of the Queen, was head of the executive, which is a position that every head of state occupies, and acted on the advice of the Prime Minister. The head of the cabinet was the Prime Minister. The judgments of the Supreme Court were not “subject to revision” by the Privy Council. There was a right of appeal to its Judicial Committee which, because of the expense involved, was availed of only by about 5% of unsuccessful litigants. It was as a “dominion” that we abolished the right of appeal to the Privy Council. Ceylon adopted its own flag while being a “dominion”. The difference between India and Ceylon was that India declared itself a republic long before Ceylon did. I disagree. If the Queen of England was the Head of State of Ceylon what independence did the country enjoy? Also please explain why India although it chose to remain in the Commonwealth when granted independence in 1947,rejected outright being a dominion. In other words being a dominion made the country subject itself to control by the metropolitan power England. Of course as years went on and post colonial nations asserted themselves Britain offered no resistance to its former subject nations choosing to break free of the shackles. With regard to the right of appeal to the Privy Council,you say that only 5 %availed of that right, but the fact remains that legal jurisdiction over Ceylon remained.We did not abolish the right of appeal to the Privy Council as stated by you. 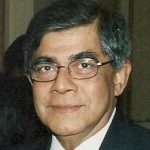 It was the Privy Council itself which in a judgment in the Kandy Election Petition case where an appeal from a judgment of the Supreme Court was dismissed on a preliminary objection by the respondent’ s lawyer the late s. Nadesan who argued thar the PChad no jurisdiction and thereafter no more cases were heard from Ceylon. Mind you that happened some years after that notorious judgment of the PC. by which it nullified a judgment of the Supreme Court of Ceylon which found officers of the armed forces guilty of attempting to overthrow a lawfully elected govt. That judgment underscored the fact that the country was not in control of its destiny and thereby was NOT independent. Just to add another point about dominion status. In 1972 prior to Sr LANKA declaring itself a Republic, the country was a dominion. True.But in 1948 when the so called”independence” was achieved the country was NOT permitted anything other than dominion status. We had to accept what was given, and what was given lacked the sovereignity granted to India. If the Queen decided to wage war against country X Ceylon would have no option but to have Country X as its enemy. To stress my point a bit further, SWRD Bandaranaike had the British bases in TrincoTrinco, KatunYake etc taken over in 1958. That was done as a dominion but would not have been possible and indeed denied when Ceylon got its fake independence in 1948.